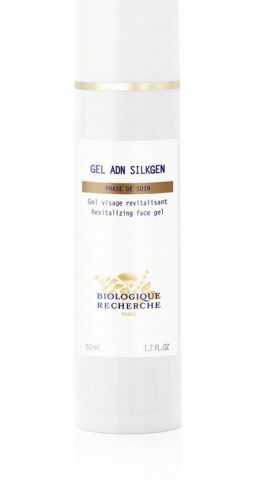 Gel ADN Silkgen is a cool, revitalising gel that tones and softens skin. A subtle treatment composed of Salmon DNA, which preserves the moisture level of the epidermis; and Silk Proteins, a source of restructuring amino acids. From the first application, it will leave your skin toned, rehydrated and radiantly fresh. This gel has a light texture that is suitable for travellers, male clients, people exposed to arid climates or following a plastic or cosmetic surgery procedure. It is also excellent to add extra hydration and anti-ageing properties to any cream. All Skin Instants® requiring a light texture. Ideal for dehydrated, stressed Skin Instants® and/or for use after abrasive treatments. Firming and protective agent: Salmon DNA. Moisturising and softening agent: Silk Extract.